Brother and sister Marilla and Matthew Cuthbert look forward to meeting the young orphpan boy whom they hope to give a good life to at their Avonlea farm, Green Gables. 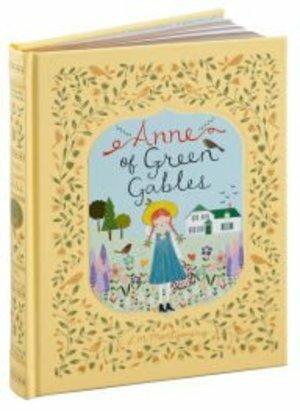 When they are accidentally sent Anne Shirley instead, they make the most of the orphanage's mistake, and welcome the imaginative girl with loving arms. Under their care and through the friendships she forges at school, Anne enjoys adventures and experiences that teach her how to be loving and caring in return. First published in 1908, L.M. Montgomery's Anne of Green Gables is a cherished tale of the importance of family and community. This edition is one of Barnes & Noble's Collectible Editions classics for young readers. It features the artwork of M.A. and W.A.J. Claus, an elegant bonded-leather binding, a satin-ribbon bookmark, and distinctive gilt edging. It will provide hours of enjoyment for readers of all ages.